The police will kill you! 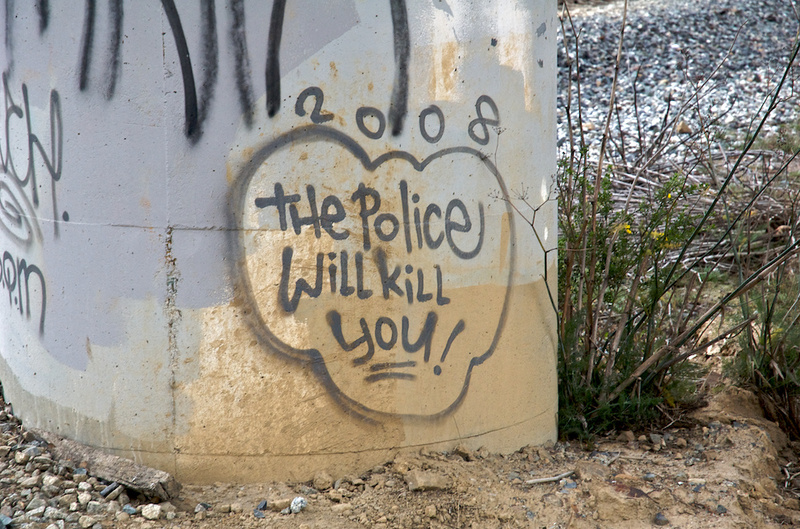 Graffiti on a support pier of the bridge carrying the Sierra Point offramp over the tracks, South San Francisco, California. Shot with the Nikon D70s and the 18-70mm f/3.5-4.5 zoom at 70mm, ISO 400, f/6.3, shutter 1/100 sec. White balance, exposure, contrast, saturation, levels, and highlights adjustments in Aperture.